Plex is a fantastic bit of software that allows you to organise your media library into something quite beautiful. If you're already using it, then you probably know you should consider using a VPN with Plex (depending on how you use it). If this is you, scroll down a bit to read our recommendations on the best options. If you're new to Plex, here's some background. Plex essentially gives you the ability to access all of your media files (as in legally purchased movie and TV shows or content you have torrented if you're a risk taker) in a lovely to look at interface across your devices. Plex is available on a number of platforms. It works best as a server being run from a central location but can used as a kind of media player that organises your movies, TV Shows, etc. The Plex app is available on iOS and Android as well, so you can view your content on the go. Plex is somewhat like Kodi but not quite as flexible in regards to addons. There are “Channels” you can install that work in a similar way to Kodi Addons, but Plex isn’t really designed for IPTV (in the Kodi sense). It is possible though to install channels that allow you to watch Video on Demand content from services such as BBC iPlayer, Comedy Central, and many more. These services are geo-blocked, so if you aren’t in the correct country (UK for BBC iPlayer for example) you cannot use these services. With a VPN though, you can, but what is the best VPN for Plex? What does my VPN provider need to offer? What your VPN provider needs to offer depends on what kind of services you want access to. If you are looking to use BBC iPlayer, then you will need to find a service that offers a UK VPN server that hasn’t been blacklisted by the BBC already. Similarly, for something like CBS, you will need a VPN provider that has US servers. In terms of protocols, it depends on how much you care about having your data encrypted. PPTP is not something that should be used in any circumstances if you care about the integrity of your data. L2TP, SSTP, and OpenVPN are much better choices, with the former two being natively supported within Windows and L2TP being natively supported within Android and iOS. If you aren’t too sure you can setup a VPN connection manually, you may find it helpful if your VPN provider offers their own application that can get you up and running as soon as possible. These applications also usually come with handy features even for those that are experienced with setting up their own VPN connections. One such feature is a “Kill-Switch” that closes any applications you want when you lose your VPN connection. Similarly, when you turn on your VPN, you can set certain applications (such as Plex) to start when you gain connection. These are very handy little features that can really improve your VPN experience. So with that all in mind, here are our top 3 recommended services to use with Plex. ExpressVPN has a huge selection of server locations to choose from, with 94 countries under their belt, you are sure to be able to access any service you can imagine. It is a little costly at $12.95 a month but you do get a lot for your money in terms of locations and stability. They also offer a 30-day money back guarantee so you can give them a go and get your money back if it isn’t for you. They offer the usual suspects of PPTP, L2TP, SSTP and OpenVPN. They don’t keep any logs whatsoever either. You can even pay by Bitcoin for ultimate anonymity. They have their own apps for a range of devices including Windows, iOS, Android, and many more. 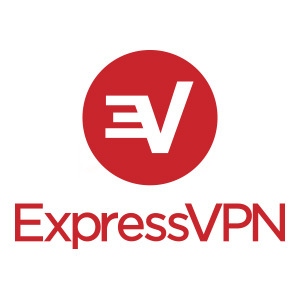 It is on the higher end in terms of budget, but ExpressVPN offers a fantastic service that is sure to serve you well for years to come. VyperVPN offer over 70 different server locations, including the US and UK. That should cover any service you could want access to. It costs the same per month as ExpressVPN but you get a little more on the security side of things. Whilst you get the usual PPTP, L2TP, SSTP and OpenVPN protocols, VyperVPN offer their own flavour of OpenVPN that they call “Chameleon”. It is specifically designed to get around the blocks that services like BBC iPlayer put in place. This means that as other VPN services slowly get blocked by such services, VyperVPN and their Chameleon protocol will keep going. VyperVPN also have their own apps on very wide array of devices, the usual Windows, Smart Devices etc. Sadly, you can’t pay with any cryptocurrency, a bit of an oversight for such a security and privacy centric company. 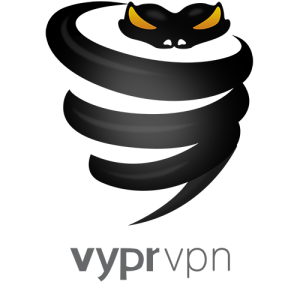 If you only pay with traditional methods, VyperVPN is the choice for you if security is of your utmost concern. NordVPN comes in at a dollar cheaper than the previous two on this list but you still get a fantastic service. You can pay with the usual methods or use Bitcoin if you are so inclined, always a nice addition from VPN providers. Not only that, there is a 30-day money back guarantee so you can try it and get your money back if you don’t like the service. They have servers in 56 countries including the US and the UK. Not quite as many as the other two on this list but the most popular countries are all included. NordVPN even offers services such as Onion (TOR) over VPN in three locations and even dedicated servers for cascading VPN connections (the act of routing your information through two VPN servers rather than one). Really nice additions for the money. NordVPN keeps no logs and has apps for just about every device in your household. NordVPN is a really nice choice for those that can take advantage of the extra server types that they offer. For the money, you get something that not many other more expensive VPN providers offer. This is a selection of the best VPNs for Plex, you really can’t go wrong with one of these three VPN providers. They are all well established in the industry and continue to improve their service all the time. They may be a little expensive to many but the money is well worth it. If you found this guide helpful, please share it to fellow Plex users. If you have anything interesting to add, please feel free to leave a comment.